summary: Starting from the Tooma Dam end of the Dargals Fire Trail, traverse south before looping back at Rocky Bogong hill to Farm Ridge and Round Mountain. Departing from Wollongong or Sydney, head for Cooma via Canberra. From Cooma follow the Snowy Mountains Hwy to Kiandra and then to Cabramurra. From here, find the Tooma Road for approximately 28kms towards Tooma Dam. The trail head is about 1/2 km before the Dam wall, at Dargals Fire Trail. 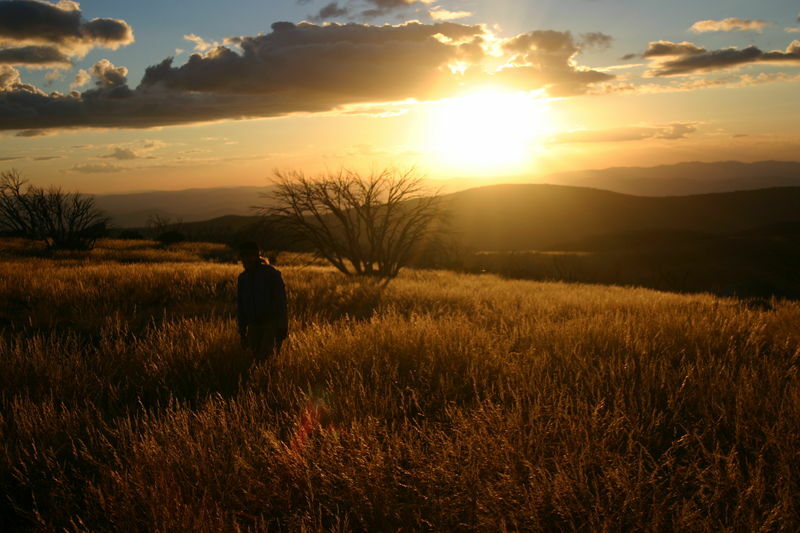 If arriving at night, there are a number of possible camping areas you can use prior to heading off in the morning. You can stay 12kms before the Dam, at Bradleys Hut. You can also stay on Ogilvies Creek picnic area, 5 kms prior to the Dam. 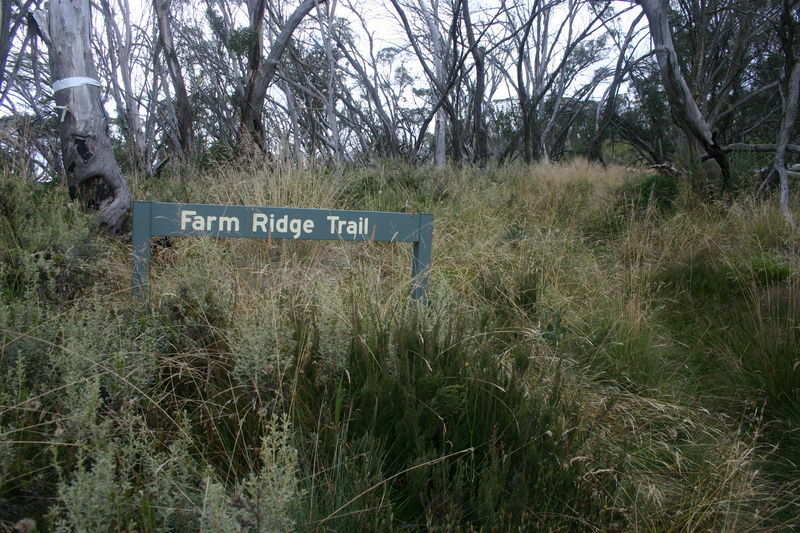 You can also stay at the head of the Dargals Fire trail, or head 3kms down the trail to Patons Hut ruin.. The Dargals Fire Trail heads south past the Toolong Plain, which reaches to the East and the Tooma Dam. Patons Hut ruin is about 3 kms along the trail, and is a handy place for a morning tea stop [GR 55H 616800 6008700]. After visiting Patons Hut, the track continues to the south and across the Tooling Creek tributary, and then past the junction to the Theiss Village Fire Trail. This old trail has been dropped from modern maps, so it is likely to be overgrown and hard to find. The trail continues south, and crosses the Toolong Creek a number of times before passing another track to the West, which runs out to Wheelers Hut. Eventually Dargals trail reaches the ford at Tounge Bend to get across the Tooma River. This will be a boots off affair, so it also a good spot for a late lunch [GR 55H 615355 6002984]. After the Tooma River crossing, 1 km down the trail, the junction of Hell Hole Creek fire trail will be found. Take this new trail to the East which will lead us to the top of Pretty Plain. The track leads along the side of the Tooma River, until the Tooma turns to the South. At this point, we turn to the south, sticking to the western side of the river and hopefully along an old trail towards Pretty Plain hut. Today we continue South along Pretty Plain. Care must be taken as the trail we want is along the Western side of Bulls Head Creek, so corssing of Bobbies Creek will be required. A break can be had once Pretty Plain Hut is reached which is about 3 ½ kms along Pretty Plain. From here, the track is easy to follow along the creek bed that leads out of Pretty Plain to Strumbo fire trail. It is at this point, the track becomes difficult to traverse. Aptly nicknamed ‘heartbreak hill’, the next ½ km to the top of this hill will quite possibly break your spirit!! But don’t be discouraged, the top of the hill is a great spot for lunch with views west back along Pretty Plain. Traveling East now, continue along Strumbo Fire Trail first along a gentle slope, and then up a steep track to the top of Grey Mare Range. Once the top of the ridge line is reached, we are turning to the North East, and once again off the main trail [GR 55H 618370 5992513]. 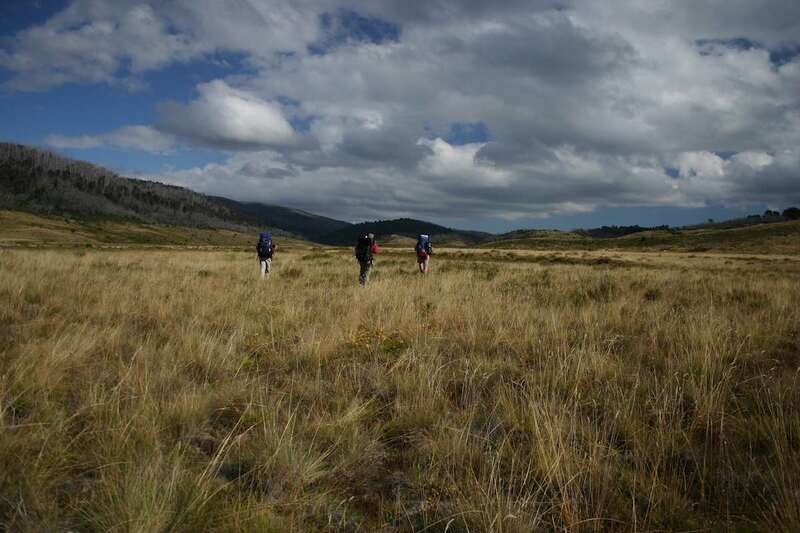 This direction will first take us past Grey Mare Bogong, and then on to Rocky Bogong Hill. At this point, continue down into the saddle between Rocky Bogong and Pyries Parlour. This will be the location of our nights camp [GR 55H 620000 5994680]. The day starts by dropping down from the Grey Mare ridge line to Grey Mare fire trail. This will take a distance of about 2 kms, and you should try and stick to the easiest contour of the hill. The trail takes us along the edge of the Strumbo Range, and drops down about 40 metres. 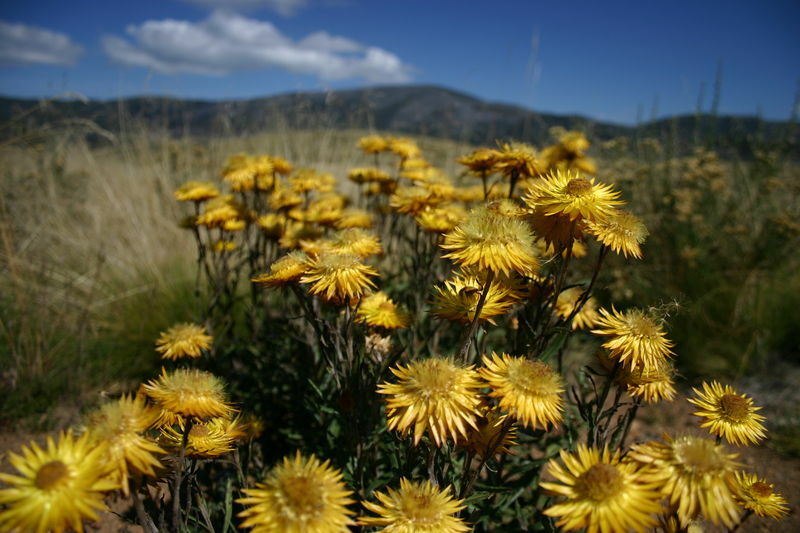 Once on Grey Mare Fire Trail, head north along side Bogong Swamp, Town of Ross, and eventually to the junction of Grey Mare and Round Mountain Fire Trails. The dominating presence of Mount Jagungal may draw you into a desire to summit this monolith again!! Once the junction is reached, head to the East, and the foot of the Big J. There is a great spot to stop for lunch at the first river crossing at the base of Jugungal. [GR 55H 623200 5998500]. After lunch, continue along the trail to the North East, which will navigate along the side of Jagungal. 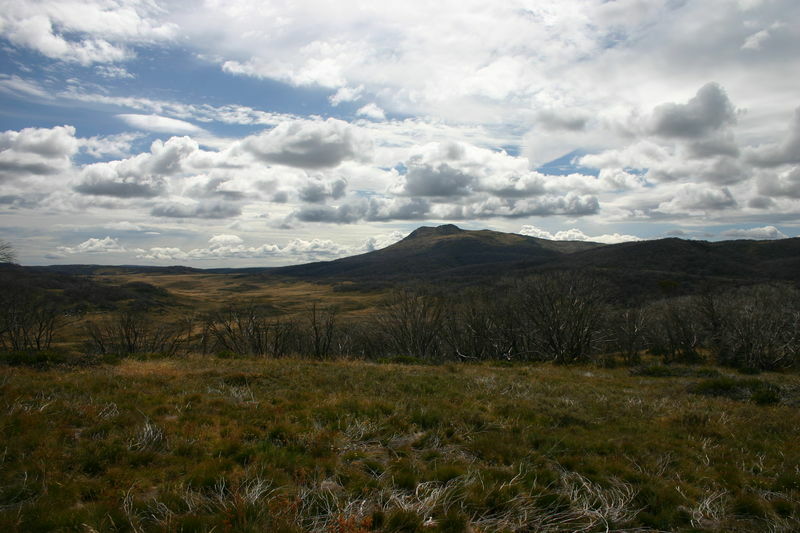 A met station will be passed 2 ½ kms along the trail, just before O’Keefes hut. The track turns to the North here, before turning East after about 1 ½ kms. Eventually we will reach the bottom of Farm Ridge Fire Trail. Camp can be set up here at the old homestead ruins, or we can continue up Farm Ridge Trail to the top of the hill first, about 1 km, to remove that effort from the final mornings activities. The trail home is a well trodden one, so there is no problem finding the way home. Head up the Farm Ridge fire trail to the top of the ridge line and follow the marked track north. The trip to the only major obstacle is about 8 ½ kms along the track, and is the Tumut river crossing. This is possibly a good stop for lunch before taking the long and laborious walk up the hill to the Round Mountain car park. A quick stop at Round Mountain hut along the way should see the end of the trip rounded out in good fashion.